Talitha Cummins is an established Australian television and radio journalist, keynote speaker & media consultant. 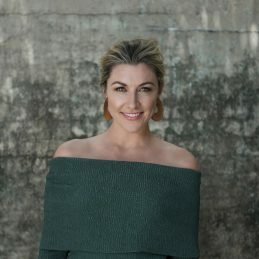 With more than 16 years of journalism experience, Talitha’s most recent role was as News Presenter on the Seven Network’s ‘Weekend Sunrise’. Talitha regularly prepares clients to speak to the media from Governmentto ASX listed companies and Not for Profits. She has become a trusted media consultant to many companies. She is a passionate mental health advocate; her goal is to smash the stigma around mental health and addiction. Talitha’s a proud ambassador for the charity ‘Hello Sunday Morning’, a program which creates awareness around alcohol dependence. She gave up alcohol FIVE years ago and shared her story on the ABC’s Australian Story and most recently 60 Minutes. Talitha is a proud mother and her greatest passions are family, health & fitness, share trading, travel and psychology- She loves understanding what makes people tick. Talitha has an incredible zest for life. She’s vibrant & inspiring- qualities that shine through her work on camera, on stage & when she moderates events. Talitha is a warm and engaging speaker and MC who adds professionalism, credibility and authenticity to events she’s involved with. Talitha was a guest speaker for a recent seminar event I organised on the importance of mental health and self-care in the PR / communications industry. She was a perfect fit! Her genuine passion for the subject area and ongoing advocacy to change the status quo was inspiring for our attendees to see and really was a highlight of the night. She was both professional in her interactions and incredibly authentic with her storytelling which was wonderful. I would highly recommend Talitha for anyone looking for a talented speaker/presenter. Talitha Cummins is amazing. She MC’d for our Innovative Ageing Conference and was the epitome of class and professionalism. I especially loved the way Talitha emotionally connected with the content being delivered. She is so authentic. I would highly recommend her.